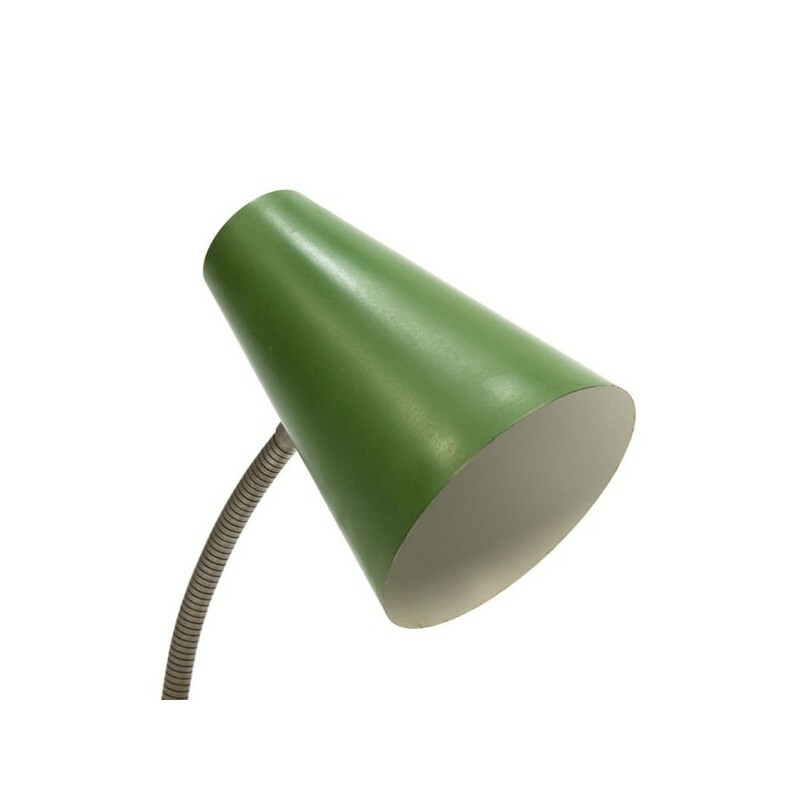 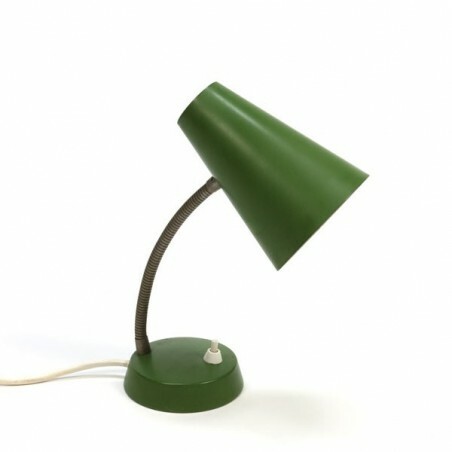 Vintage table lamp from the sixties with a green shade and base. 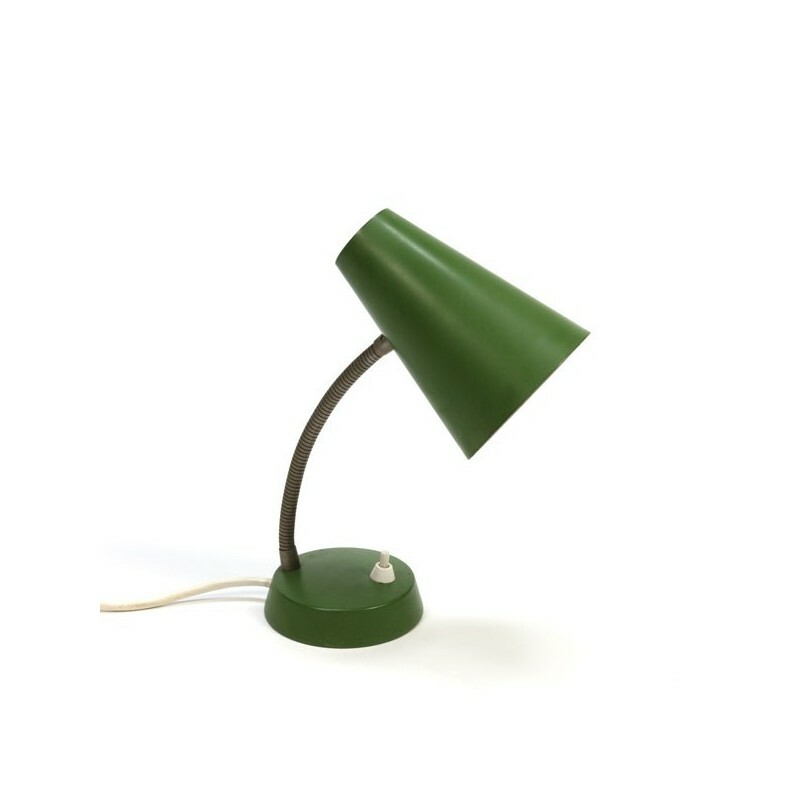 The condition is good, light wear to the shade visible. 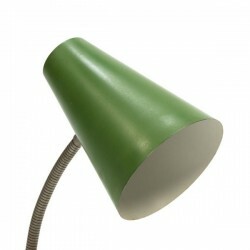 The size is about 30 cm (adjustable), the cap is 11 cm in diameter and 15 cm long.